AUGUSTA -- The Augusta Community Warming Center opened for the winter Sunday, just in time for a cold snap that plunged temperatures into the low teens. AUGUSTA — The Augusta Community Warming Center opened for the winter Sunday, just in time for a cold snap that plunged temperatures into the low teens. In recent years, the center has operated in January through March, but they frequently receive requests to keep it open longer. Shore said there’s been concern in the past about scheduling staff and volunteers during the holidays, but this year they wanted to provide the warming center’s clients with a warm and welcoming place to go on Christmas. The warming center averaged about 20 visitors a day last year, and this year the demand could be even greater. Shore said Augusta’s code enforcement officer told him that even conscientious landlords are struggling to afford the repairs and oil to heat their properties this winter. In addition, cuts to the Low Income Home Energy Assistance Program are part of the sequestration package that will take effect Jan. 2 if the White House and Congress can’t reach a budget deal. A report released by Democrats on the U.S. Senate Appropriations Committee estimates that Maine will lose $3.5 million in heating assistance from sequestration, or about 9 percent of what the state received in the last fiscal year. “The cuts are coming right at the point where people need them the most,” Shore said. 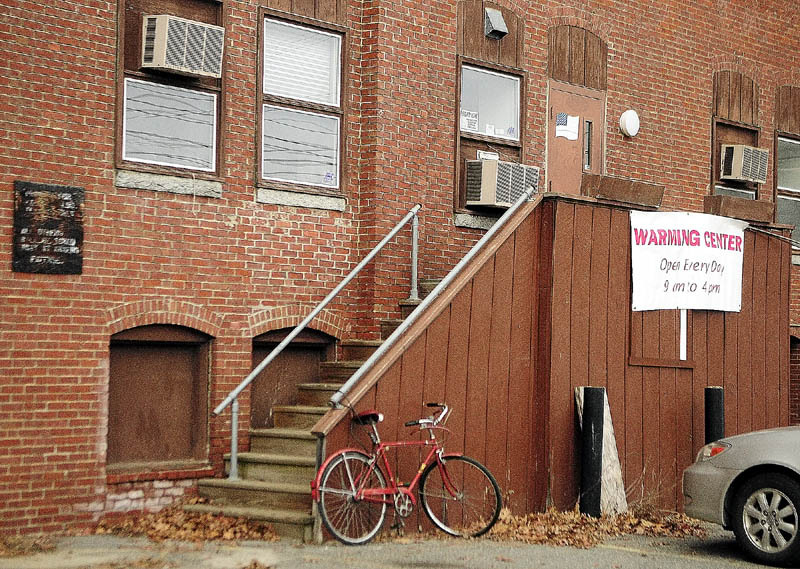 The Augusta Community Warming Center, open from 9 a.m. to 4 p.m. at 44 Front St., is supported by the United Way of Kennebec Valley, the city and several churches and nonprofit organizations. There was hot coffee brewing at the center on Sunday morning, and some of the clients helped themselves to bagels. People frequently donate food, and Mondays through Saturdays the staff encourage clients to get lunch at the Bread of Life soup kitchen up the street. In the game room, there are cribbage boards on the tables and boxed jigsaw puzzled lined up on shelves. A man read the Bible in the natural light streaming into the quiet room, and a couple played with their toddler son in the nursery in the back. 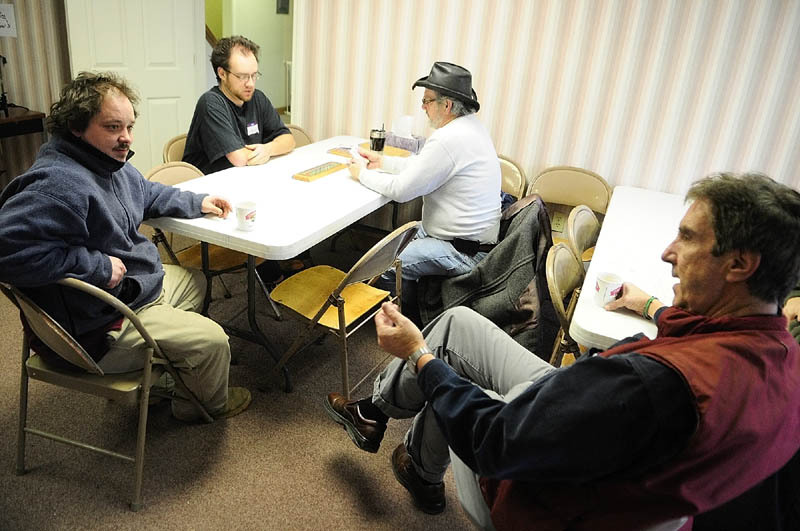 The warming center’s clientele has changed in recent years, with fewer truly homeless people coming in. Many of them now go to Bread of Life’s resource center, Shore said. Shore said the people coming into the warming center may be sleeping on someone’s couch or living by themselves in one-room apartments. They may be isolated by factors like age, mental illness or disability or a substance abuse problem. Many of the staff and volunteers at the center are in recovery from addiction themselves, and they’re dedicated to providing a positive atmosphere where people can find companionship rather than engaging in self-destructive behavior. Steven Farrell, 34, has been coming to the warming center regularly for three years, and on Sunday he brought along his neighbor, Brian Clark, 61. They were looking for a social outlet, though by the time they walked downtown from their apartments near the airport, the warmth was welcome, too. Reducing isolation is an important mission, weekend manager Wil Tibby said, and he’s hopeful that the guitar he brought in Sunday will be a new tool for doing that.